The CNMI are not in the South Pacific, but are actually in the tropics at 15 degrees north of the equator. The 'South Pacific' draws to mind images of French Polynesia (south of the equator), but this term is kind of vague anyway. At the very least, I have never heard people in the CNMI or Guam calling the area the 'South Pacific.' They are in the western Pacific, just east of the Philippines. These islands have been the site of frequent DEA investigations, but usually what makes the local news are drug busts on CNMI farmers growing marijuana plants. What appears so damaging about this particular case is the harm that will be done to prospective tourism from China. The CNMI House resolution to inform "China" (who in China exactly is not stated here) that the searches were from the US DEA and not by CNMI law enforcement is par for the course right now -- there are many vehemently debated issues surrounding the increasing 'federalization' of control over CNMI autonomy (or perceived autonomy, as the case may be). The US intends to build up military bases on these islands and to restrict fishing in some of the northernmost islands by making them an environmental 'monument,' according to the US executive branch last Monday. 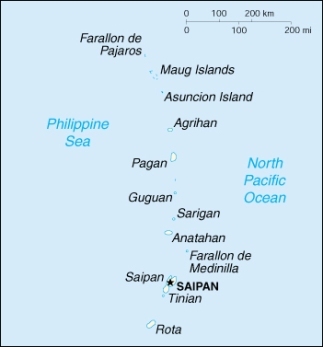 The local islanders are fed up in general about increasing US control over this territory that is on the margins of the US empire, and which until recently existed in an ambiguously distant relationship with the US (the CNMI used to have control of immigration and minimum wage, and they still have exclusionary land laws). To me, this DEA gaff story seems like one in a long line of aggressive displays of power by the United States in islands that would be better thought of as Native American reservations. Only they're not. For 'strategic purposes,' these indigenous islanders will probably have to give up many laws that grant the locals special rights and political control -- the CNMI has little choice about becoming the newest US military bases in the Western Pacific because of the slow closure of bases on Okinawa. From the tone of your comment, Jay in Saipan, I'd have to say that you are a full-blown Obama junkie. Has the cup of Joe arrived? What a totally insipid reply to Jay's post by Anonymous on Mon, 10/27/2008 - 6:40am!